Image 7158272: 3d illustration of red traffic cone. 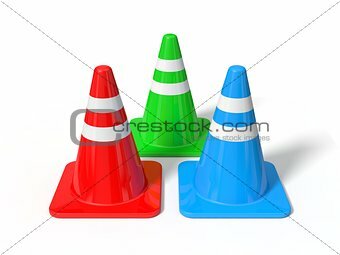 Image Description: 3d illustration of red traffic cone. isolated on white.